I remember the day like it was yesterday. We had managed to get these siblings together for the first time in 17 years. They had met in twos this way and that every other year or so, but not all three. 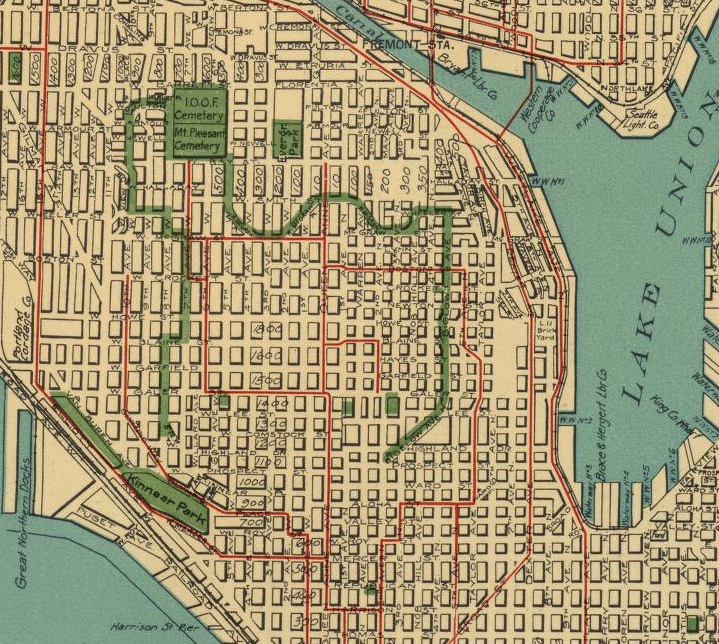 So naturally, we took them on a tour of Queen Anne Hill, including the grave sites of their parents at Mt. Pleasant Cemetery. 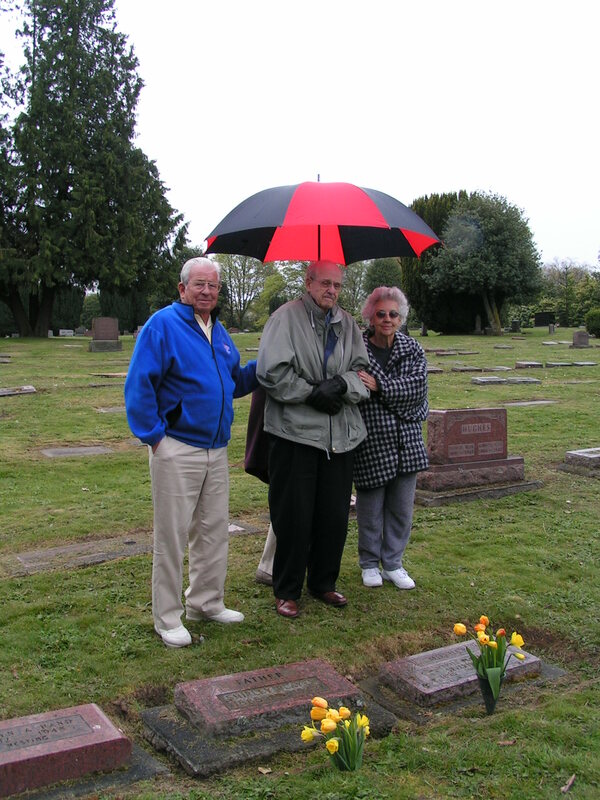 IMAGE: Siblings Jack Player, Glen S Player, MD and Beverly (Player) Muir standing at the graveside of their parents at Mt. Pleasant Cemetery on Queen Anne Hill, Seattle, Washington. Photo from the author’s personal collection, taken June 2007. 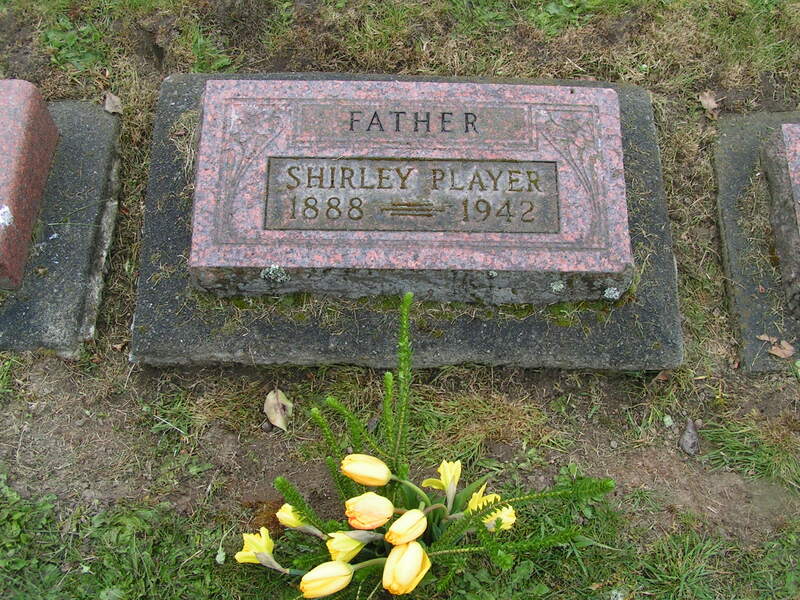 IMAGE: Tombstone of Shirley Player, Mt. Pleasant Cemetery, Seattle, Washington. He was born in Salt Lake City, Utah 1888, moved to Queen Anne Hill in 1926 and became proprietor of Player’s Service Station. He died in 1942. Photo from the author’s personal collection, taken June 2007. 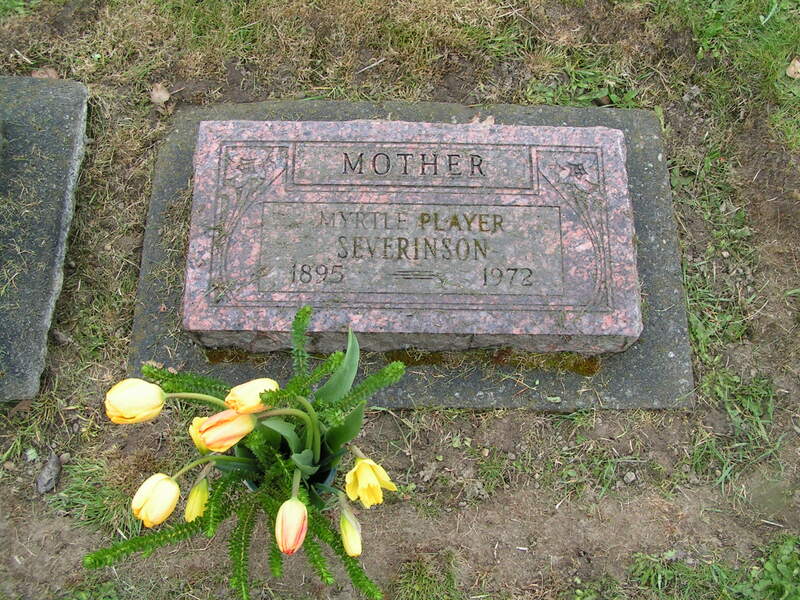 IMAGE: Tombstone of Myrtle (Weiser) Player Severinson, Mt. Pleasant Cemetery, Seattle, Washington. She was born in Salt Lake City, Utah 1895, moved to Queen Anne Hill in 1926 and was active in the Parent Teachers Association. She died 28 Sep 1972 in Bellevue (now Medina), King, Washington at the home of her son Glen. Photo from the author’s personal collection, taken June 2007.